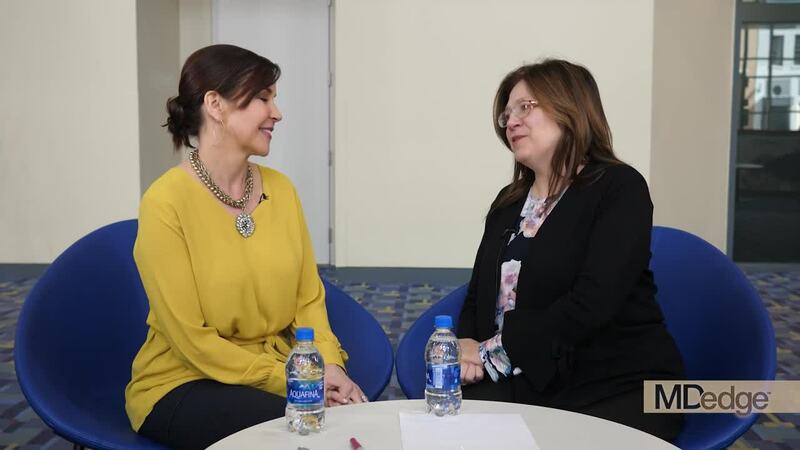 WASHINGTON – In an interview at the close of the annual meeting of the American Academy of Dermatology, dermatologists Julie Harper, MD, and Jonette Keri, MD, PhD, summed up some of the take-home messages from the meeting’s acne sessions. Both Dr. Harper, who practices in Birmingham, Ala., and is the immediate past president of the American Acne & Rosacea Society, and Dr. Keri, of the department of dermatology at the University of Miami and the Miami VA Healthcare System, spoke during several acne sessions. Among the topics they discussed during the interview were a relatively recent meta-analysis that provides reassuring information about depression and isotretinoin, how to start patients on spironolactone, and the use of antibiotics – and benzoyl peroxide. They emphasized the importance of not withholding treatment for patients who need it and the psychosocial impact of acne. “Patients need to get to the treatment they need ... faster,” Dr. Harper said. “We want to treat sooner, and we want to prevent scarring,” Dr. Keri added. Dr. Keri disclosed relationships with Hoffmann–La Roche, Ortho Dermatologics, and Pierre Fabre Dermatologie. Dr. Harper has no relevant financial disclosures.